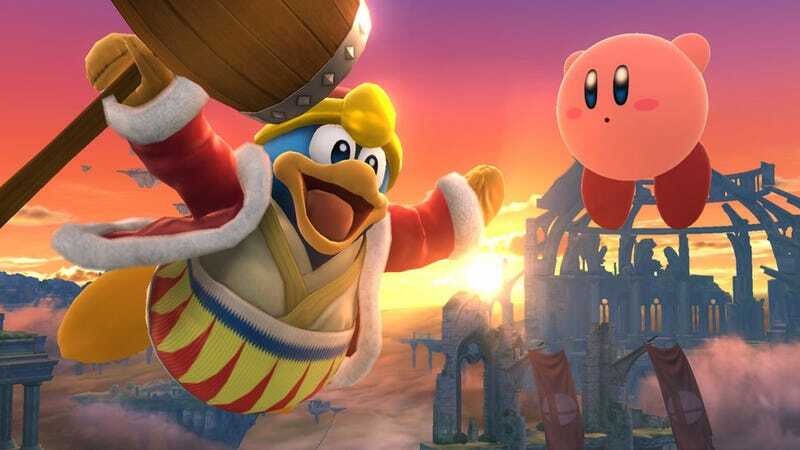 Apparently, some Smash Bros. players out there are frustrated at the strength of characters like Kirby and Pit – both characters from franchises that director Masahiro Sakurai created. Because if Kirby beat you, it’s obviously the creator’s fault. Sakurai is the one behind the character balance in Smash Bros., but Sakurai revealed that he also has a monitor team that offers a separate perspective on his decisions and that any adjustments that do not fit with their input is not implemented. Sakurai did admit that while he and his team do their utmost to maintain their game’s balance, they are not perfect and there are numerous factors that can affect how a game will play. This is likely what led to the issues with Little Mac and Diddy Kong – both characters who have subsequently had their stats adjusted to maintain the game’s balance. According to the numbers, the champ boxer may not be as good as some believe. One possible reason that players think that Sakurai plays favorites with his characters is the fact that one of Kirby’s special attacks where he transforms into a rock to drop on other players is relatively powerful and easy for beginner players to use. Sakurai does go on to explain that as useful as the attack is, it renders Kirby immobile during transformation and open to attack when transforming back, making it a difficult strategy to use against experienced players. Sakurai concludes that while it is made for all sorts of players, from novices to veterans, Smash Bros. is essentially balanced so that mid-ranged players can enjoy it. “The game is essentially made as a ‘fun party game.’” Sakurai wrote. Remember: when playing Smash Bros., fun comes first. Masahiro Sakurai likes fun.